Dear America: Keep Calm, There Is Plenty of Room in Canada (Audio) - Canada Immigration and Visa Information. Canadian Immigration Services and Free Online Evaluation. 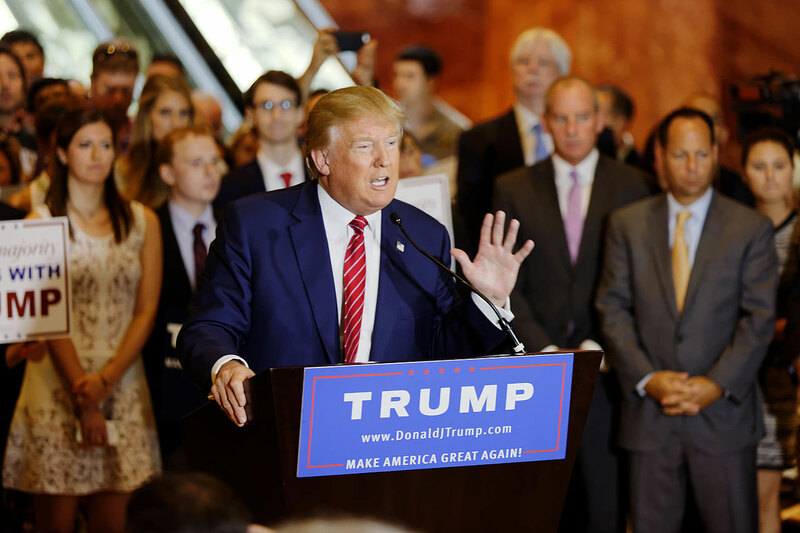 The knee jerk reaction of many Americans appears to be – to start looking for a way out as Donald Trump shocked the world by beating Hillary Clinton in the US general election. The Canadian government website of Immigration, Refugees and Citizenship Canada crashed, apparently under the weight of the number of Americans researching how they can make the move north, before Trump makes the move into the White House. Immigration.ca’s message to Americans is clear: Canada’s doors are open to candidates with the right qualifications. So, if you are serious about wanting to move here, your options are reviewed below. The good news is the Canadian federal government has just announced plans to maintain record immigration levels in 2017. Canada will welcome up to 320,000 new permanent residents next year, as it will do in 2016. Justin Trudeau’s Liberals plan to use immigration to tackle an aging demographic and shrinking labour force, with the number of newcomers set to rise gradually in the coming years. But that does not mean anyone can pack up and move to Canada. You need to fit into one of the categories the government is looking for, such as skilled worker, business professional, family reunification or as a temporary international student. For many, the international study route is the best pathway to Canada. If you are a highly-skilled technology professional, then you are exactly what Canada is looking for. In response to feedback from businesses across Canada, the government has just announced plans to launch a fast track visa early next year to allow approved employers to bring in new staff in two weeks (the previous standard was six+ months). Big-name firms such as Shopify and Hootsuite applauded the government’s initiative, announced by Finance Minister Bill Morneau. Technology gurus are some of the world’s most sought-after talent, and most usually end up in Silicon Valley. But if you are one of them and America is no longer an option following Trump’s victory, Canada is listening. Innovation Minister Navdeep Bains made it clear recently that Canada believes it can benefit from the rising tide of protectionism across the world, and that was before the U.S. elected Trump. With Brexit rocking Europe and Trump coming to power in America, Canada’s relative stability sets it apart from traditional immigration rivals. The details of the new visa are being worked on by the Canadian government, with a full roll-out expected in the spring. Canada’s decision to maintain high immigration levels also saw a re-calibration of where those new permanent residents will come from. After a drive to welcome thousands of Syrian refugees in 2016, those numbers are set to fall in 2017, while the number of skilled workers is slated to rise significantly. The result should be that it becomes easier to get into Canada on a permanent basis, through the points-based Express Entry system. Through the system, candidates are selected and issued with Invitations to Apply for the main immigration programs on offer. The planned increase in skilled worker immigration in 2017 should mean the number of points needed under Express Entry will fall quite dramatically. The two most recent Express Entry draws – which happen roughly every two weeks – saw record numbers of candidates issue with ITAs and falling ranking scores. The gold standard under Express Entry is a job offer backed by a positive Labour Market Impact Assessment (LMIA), but with the qualifying score set to drop, it will become increasingly possible to gain entry to Canada without the need for either. Read more about how to boost your Express Entry Comprehensive Ranking System score here. For those who have a temporary offer of employment from a Canadian employer for a position covered under Appendix 1603.D.1 of the North American Free Trade Agreement (NAFTA) and other Appendices, you can obtain a renewable temporary work permit. This would provide you with the right to live and work in Canada, on a temporary basis. Canada has some of the best universities in the world, and they are always looking to grow their international student populations. 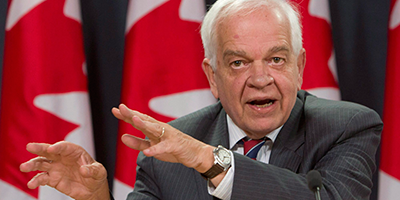 Immigration Minister John McCallum said recently that he would welcome a doubling in the number of Chinese international students who study here, and there is no reason why that should not apply to Americans. In what could be a game-changer for international students in Canada, the government is about to make it much easier for them to stay in the country after they graduate. Qualifications from Canadian universities are going to be given significantly more points under the Express Entry system as Canada sends a message that if international students want to live here after they graduate, they will be able to do so. The provinces have also started targeting international students. A recent round of ITAs issued under the British Columbia Provincial Nominee Program was dominated by foreign graduates. Meanwhile, Nova Scotia issued an ambitious plan to target international students to boost immigration numbers in the Atlantic province. Alberta has seen numbers jump 40 per cent to 18,203 for the 2015-2016 academic year from 13,145 in 2011-2012. In Manitoba, the numbers have almost doubled in the time between 2011-2012 and 2015-2016, from 4,700 to more than 9,000. Saskatchewan, meanwhile, saw a 24 per cent rise. High net worth individuals have several options for Canadian immigration through investment, provided they have $500,000 or more in personal assets. Quebec has the most popular provincial investment immigration programs. It is also the only passive investment program. You can consider the Quebec Immigrant Investor Program (QIIP) or the Quebec Entrepreneur Program (QEP) if you want to invest your way in to Canada. Once you have permanent residence, you enjoy freedom of mobility throughout Canada. Alternatively, each of the provinces has its own investment immigration options. The federal government is currently conducting a review of all of its immigration options, and immigration.ca has called for a revamped, federal investment program to attract ultra-high net worth individuals. Immigrants to Canada have access to one of the world’s most competitive tax regimes for starting a new business. An important advantage enjoyed by business owners is a low tax rate applicable to active business income earned in Canada. This is called the “small business deduction”. Each Canadian province has its own immigration programs, designed to fulfill labour market needs on a more local level. This means they also have their own set of target professions, ranging from skilled trades to technology talent. The provinces also have access to the Express Entry pool through further specific immigration programs. If you have family north of the border, you could have a ready-made option for immigration. The Canadian government has made family reunification one of the priorities of an ongoing overhaul of our immigration system. Spouses and common-law partners should find it significantly easier to move to be with their loved ones following changes in the rules on the age of dependents and the abolishment of conditional permanent residence. Read more here. Canada is also preparing to accept up to 10,000 new applications to sponsor parents and grandparents from January 3, 2017. These places were filled extremely quickly in 2016, so it is important to get organised and have your application ready to file when the program opens. Whether you are still only considering moving to Canada, or whether you have already made your decision and are ready to pack your bags, the most important advice is to first visit the country. Each of the provinces has its own unique identity, not to mention different labour markets, laws and cultural identity. If it is Nova Scotia, Quebec, Ontario or Vancouver that piques your interest, then go and have a look before you consider making the move. To keep your options open, plan trips to two or three of the provinces so that you can get a feel for exactly how different they are. Once you have assessed your options and secured the right visa, you can relocate to Canada, either on a permanent or temporary basis. Finally, it cannot be overstated that a very important consideration is the job market. Candidates who secure a hiring sponsor employer are practically assured of being approved for Canadian permanent residence (our version of a Green Card) or on a temporary basis via a work permit. Once again, visiting and meeting with suitable employers could help you make a crucial step on the path to moving to Canada. Trivia: Colin Singer, Managing Partner of immigration.ca, was recently quoted in a CNN Money article about what it takes for an American to move to Canada. You can also watch him being interviewed on the subject here.